Now on in the J.T. Diamond Room, Waitakere Central Library is our Dalmatians out west exhibition. The exhibition features images from Auckland’s Dalmatian community and will run until 30 August 2016. This is the second in a series of blog posts based on the themes in the exhibition. 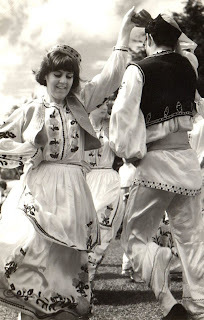 Music and dance were mostly the domain of the two Yugoslav organisations, the Yugoslav Club Inc., and the Yugoslav Benevolent Society (The Croatian Benevolent Society). 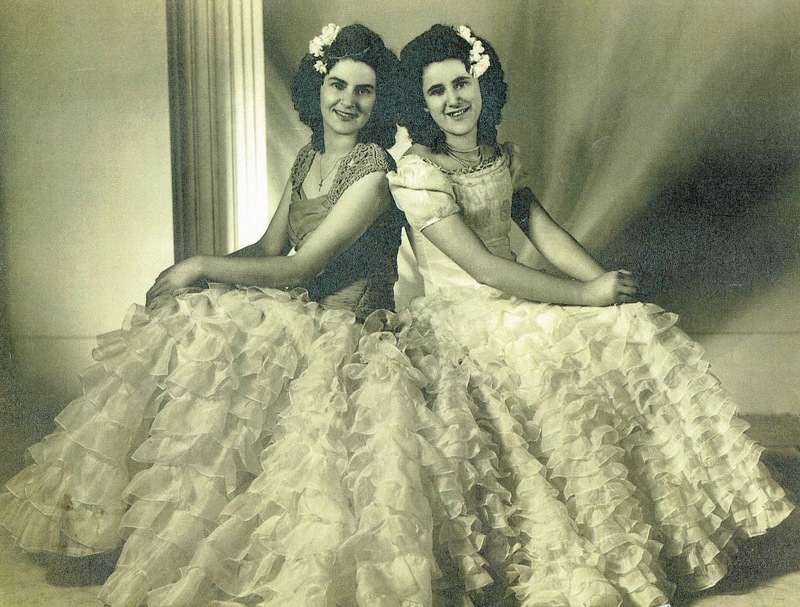 Annual Ballroom competitions were conducted and cups were given out to the best foxtrot, waltz and tango dancers. Ref: Sisters Danica and Fleur Martinovich dressed for the ball in dresses they made themselves, 1946. West Auckland Research Centre, Auckland Libraries. DGHS Collection. Both clubs taught the Yugoslav national dance, the Kolo, and this was danced by 10 or 12 couples. 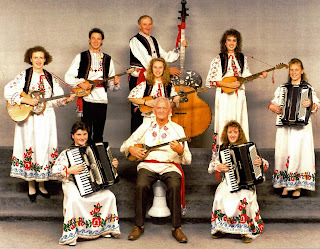 They also gave tuition to their youth to play the national instrument the Tamburica, which is a stringed instrument that comes in various sizes not unlike a balalaika or bouzouki. They were played for the Kolo dancers and for other gatherings and annual picnics. Ref: Susan Vujnovich with Izak Dunatov, Redwood Park, Swanson, 1964. West Auckland Research Centre, Auckland Libraries. DGHS Collection. Ref: Tamburica Orchestra, 1989. Back Row: Michael Yelcich, Paul Marinovich, Janet Perich. Middle Row: Helen Marinovich, Lara Tolich, Amalia Cetina, Lydia Cetina, Mark Marinovich, Melanie Nobilo. West Auckland Research Centre, Auckland Libraries. DGHS Collection. 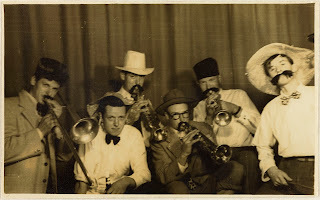 There were also local groups, one being ‘The Oratia Swing Kings’, a group formed around 1943 by seven young men who had spent their school days together – Alex, Vic & Rudy Sunde, Gus, Wally & Steve Nola, and Leo Thomas. 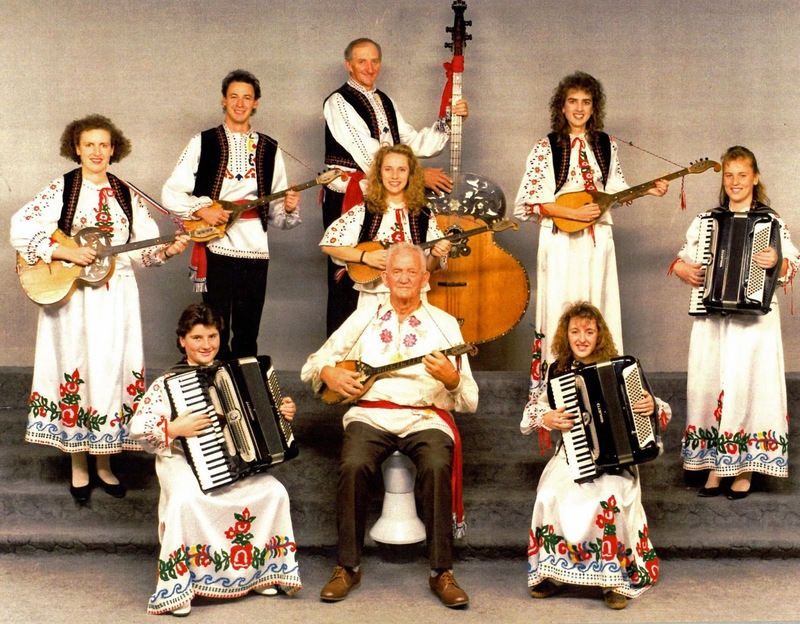 They performed at the Oratia Hall and at the Yugoslav Society. Ref: Oratia Swing Kings. L-R: Rudy Sunde, Wally Nola, Gus Nola, Victor Sunde, Steve Nola, Alex Sunde. West Auckland Research Centre, Auckland Libraries. Rudy Sunde Collection, RSU-P-0043. 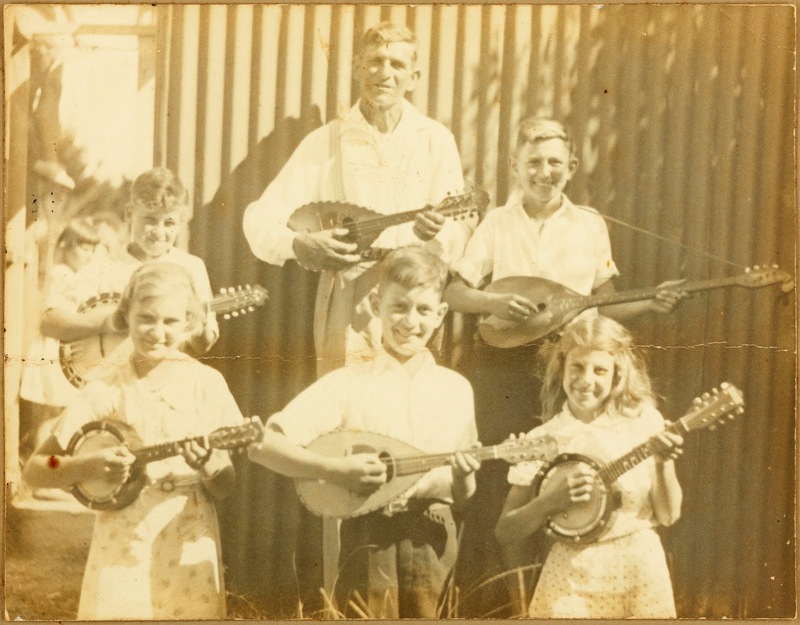 In the mid-1930s musician Andija Erceg of Carter Road, Oratia, persuaded a number of Oratia residents to buy musical instruments for their children. He taught the children to play mandolins, banjo-mandolins and tamburicas, and formed a string band ‘The Winola Orchestra’. The name ‘Winola’ came from the first names of two non-Dalmatian band members Winnie Allen and Nola Cloutman. Ref: The Winola Orchestra, c1930s. Back row L-R: Rudy Sunde, Andrija Erceg (band Leader), Steve Nola. Front row L-R: Nola King, Gus Nola, Doreen Davis Colley. West Auckland Research Centre, Auckland Libraries. Rudy Sunde Collection, RSU-P-0047. 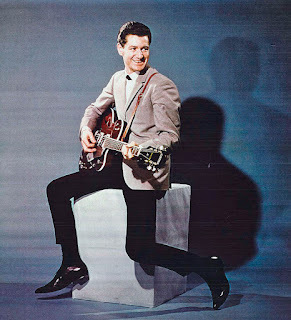 Peter Posa, from Henderson Valley, was one of New Zealand’s top artists in the 1960s. He was awarded MNZM (Member of the New Zealand Order of Merit) for services to entertainment in 2008. Ref: Peter Posa, West Auckland Research Centre, Auckland Libraries. DGHS Collection. 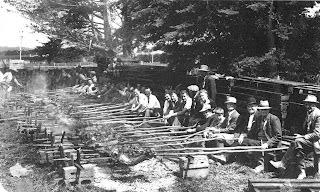 The Oratia Hall on West Coast Road was the scene of many gatherings especially at the end of the fruit picking season. The locals were entertained by local bands. There were also gatherings and funerals in the St Cyril & St Methodius Church which was built on the West Coast Road by Dalmatian settlers. 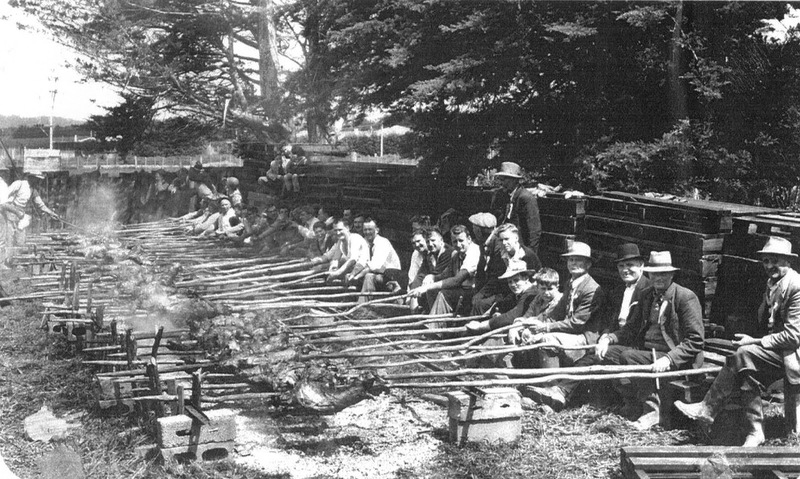 The Apple and Pear Board in Henderson was the scene of a number of gatherings where the traditional dance the Dalmatian Kolo would be performed and where lambs on spits would be roasted "Dalmatian style". Ref: Fundraising for the Henderson Gymnasium’s Queen Carnival, 1959, in support of the Land Queen Shirley Babich. Held at the Apple and Pear Board, Henderson. West Auckland Research Centre, Auckland Libraries. DGHS Collection. 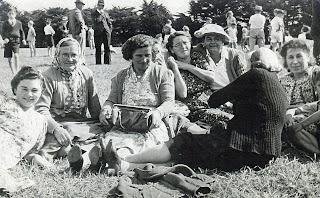 Picnics were a good way to socialise and would take place at Pine Island (now known as Herald Island), Tui Glen, Redwood Park, Pt Chevalier Beach and also beaches on the West Coast. Ref: Enjoying a day at the picnic, c1945. L-R: Kata Jelicich, Mrs Nobilo, Antica Babich, Mara Nola, Mrs Eva Yovich, Mara Babich and young Joe Babich (obscured). West Auckland Research Centre, Auckland Libraries. DGHS Collection. A Dalmatian wedding guest list would number into the hundreds. 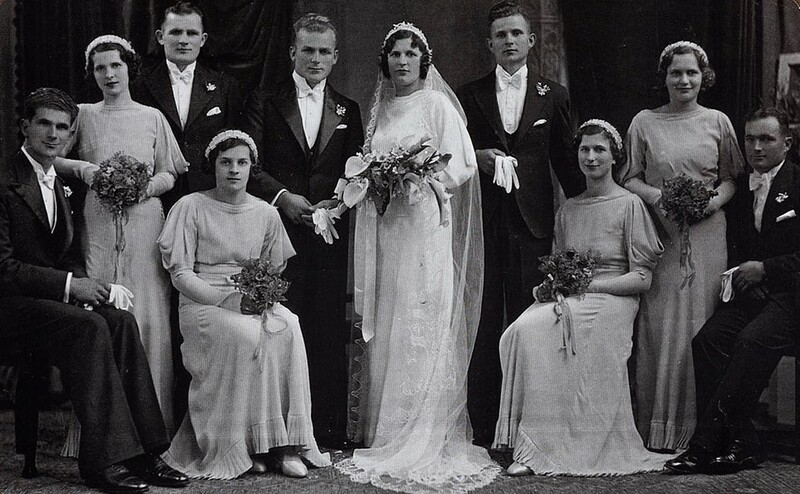 All of the family on both sides were included, as well as first, second and third cousins, uncles and aunts, godparents and, last but not least, were family friends. Every wedding had a dinner for these guests, which was followed by a dance to which everyone else was invited. A supper was then provided for all attendees. 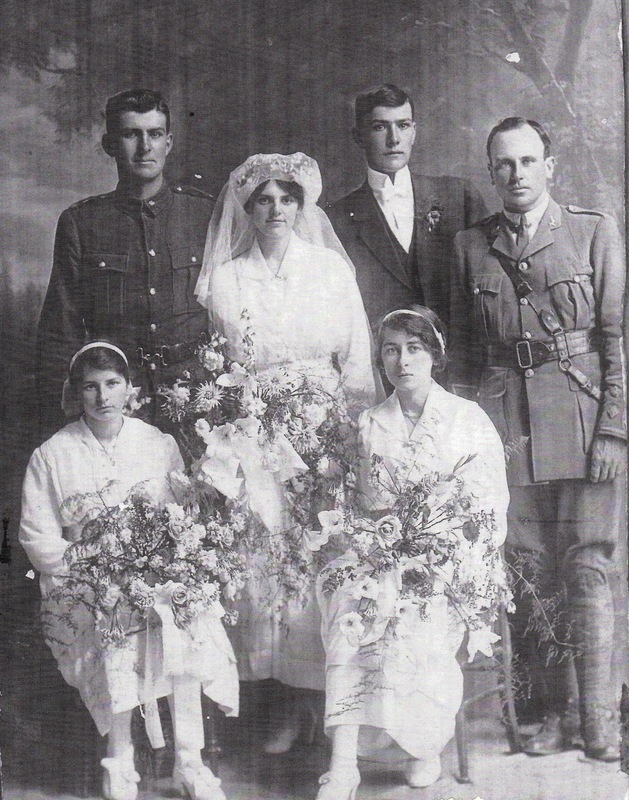 Ref: Steve Vella – Muriel (Daisy) Parr, 1916.. Groomsman Sam Vella (not in uniform), Front L-R: Bridesmaids Elsie & Hazel Parr, Best Man Hugh Holden. West Auckland Research Centre, Auckland Libraries. DGHS Collection. Venues such as the two Yugoslav clubs, the Farmers Trading Co. tearooms, and the Peter Pan Cabaret were the most popular. Most weddings were celebrated at St Patrick's Cathedral and a lesser number in St Benedict's (near Symonds Street) and suburban churches. Ref: Cyril Nola - Phyllis Sunde, 1934. Standing: Daisy Marinovich, Ned Nola, Cyril Nola, Phyllis Nola, Ljubo Nola, Martha Garelja. Seated: Mate Sunde, Daisy Vukovich, Millie Sunde, Vlado Nola. West Auckland Research Centre, Auckland Libraries. DGHS Collection. Compiler: Raewynn Robertson, West Auckland Research Centre, with assistance from the Dalmatian Genealogical and Historical Society. Fantastic blog! Interesting seeing the old pics!